Got a bit of work done last night and today, but a client presented a last-minute project so not able to spend as much time this weekend as I had planned. And the same, pretty much dry. 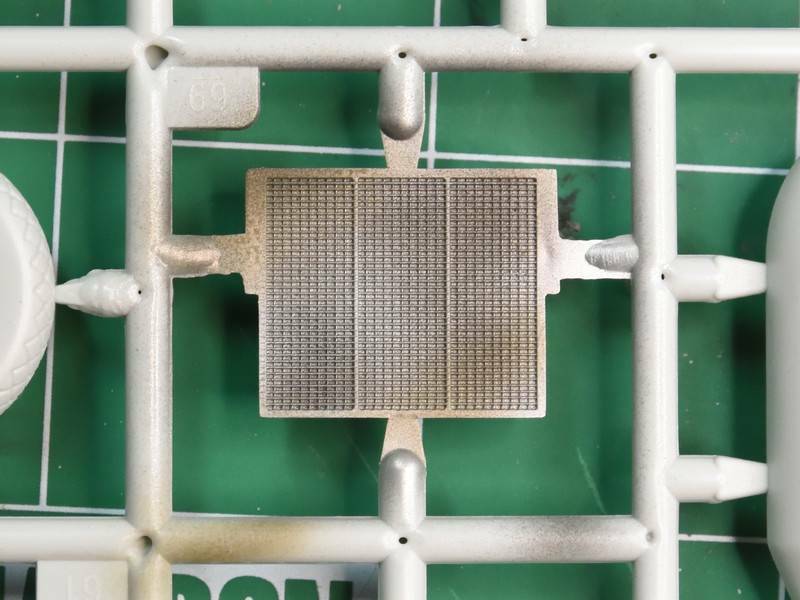 Cut the tip off of a microbrush to use just the plastic point to apply the drop of the Formula 560. Word to the wise if you do the same: it sets up pretty quickly so make sure it fills what you want it to when you apply it. If you wait a minute or so a film appears and just messes everything up. Not that I know or anything... . No idea why there is a brown tint unless it is a reflection from the tree outside. Bottom half of the IP and the master Electrical Control panel. Would love to have some of the stencils for this... Next build. Sharpened toothpick used to pick out the switches. 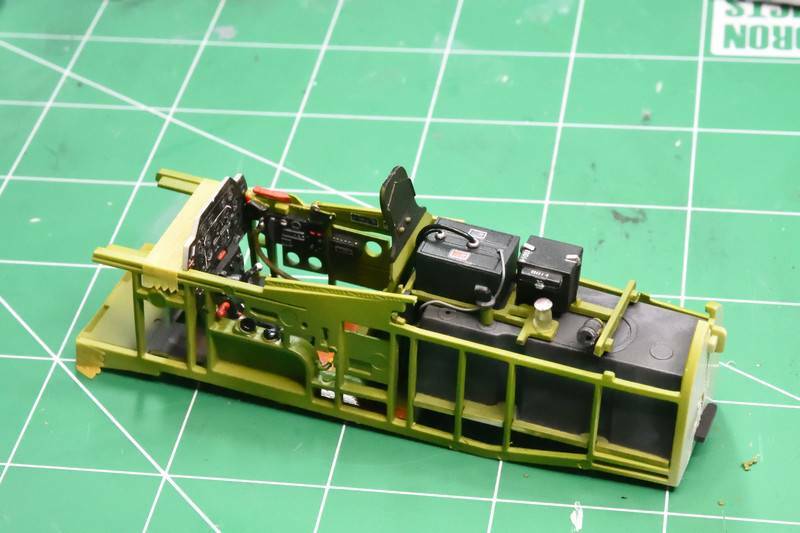 Working on the cockpit floor and fuselage fuel tank. The floor is Model Master Acryl Interior green, Vallejo black non-slip area, Vallejo Wood and Burnt Umber wood floor which needs a bit of touch-up. 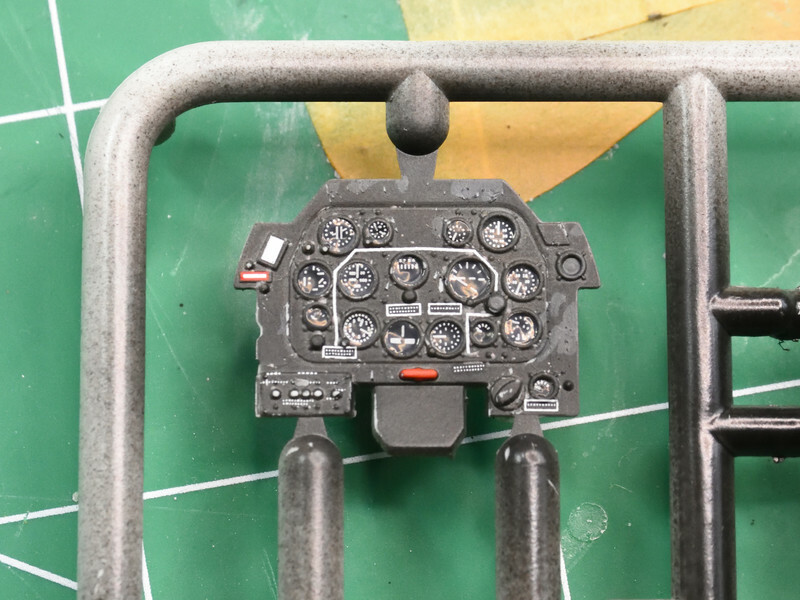 Rubber tank is base MM Instrument Panel black, oversprayed with Vallejo black and Black/Green (Luftwaffe color) and then dry brushed with Medium gunship gray and sea gray. After I dry-fit the equipment rack I'll see if I need to do more to the rubber tank. And radiator with the before: base aluminum paint, misted oversprays with black, black gray and thinned light olive. After the wash set for about 5 min I took a paper towel and pressed it down onto the radiator which helped create the uneven appearance. I think you had the idea about how to mount the exhausts after painting the nose? Thank you! I keep looking online for resources and figured I'd take a guess. Finally, after two weeks of travel, got back to the bench. 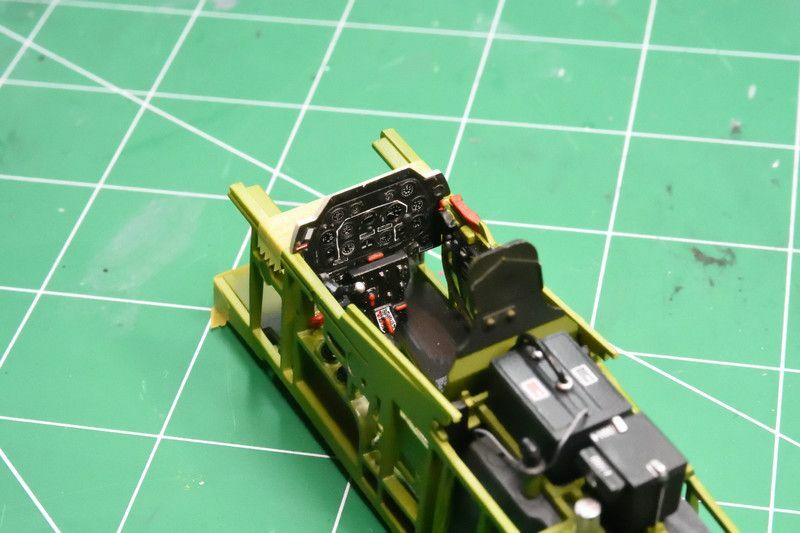 Making progress on the cockpit - there are a LOT of pieces that go onto the sidewalls. On the one hand the individual bits make it easier to paint plus it does add a bit of 3D realism. 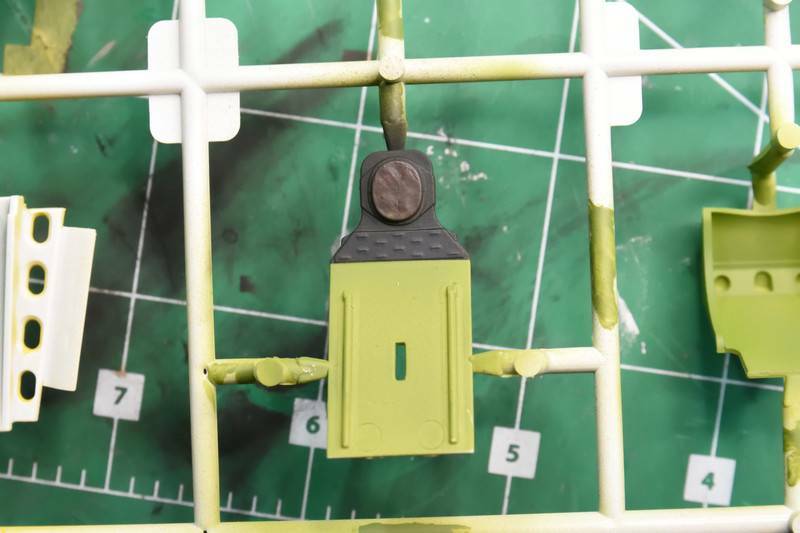 But I could not find one piece as it is tiny and Revell for some unknown reason has random numbers on its sprues. The numbers are not sequential by any stretch of the imagination. Added the decals to the battery and radio, will wire them up in next step. The sidewalls have a ton of detail, even without an Eduard PE set but I've noticed a fair amount of flash that needed to be scraped away and I didn't get it all yet. 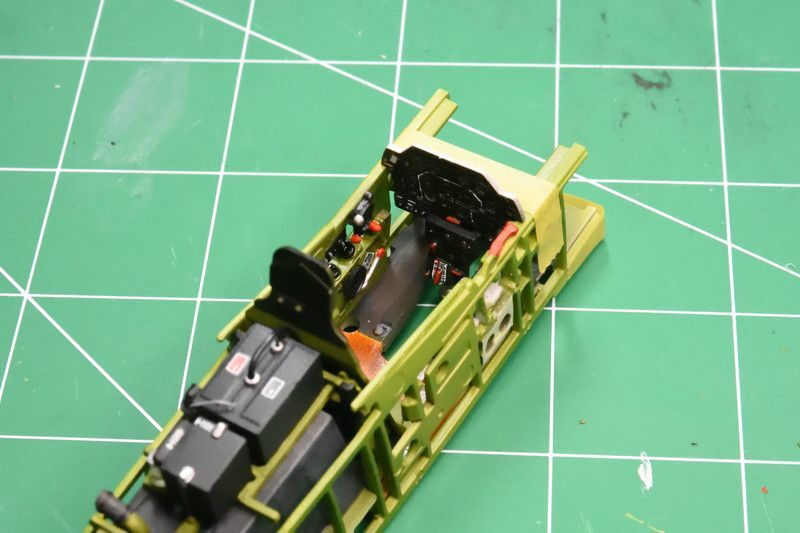 The cockpit decals are a nice touch but there are a few more for the trim wheel and throttle that would be pretty noticeable and thus would benefit from the decals. Model Master Interior Green was used here. 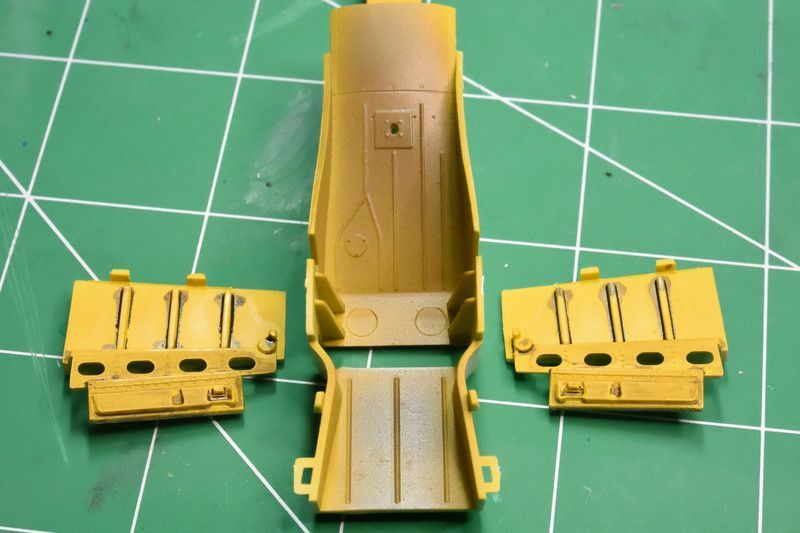 Still have some detail painting to do, such as painting the canopy rails aluminum. 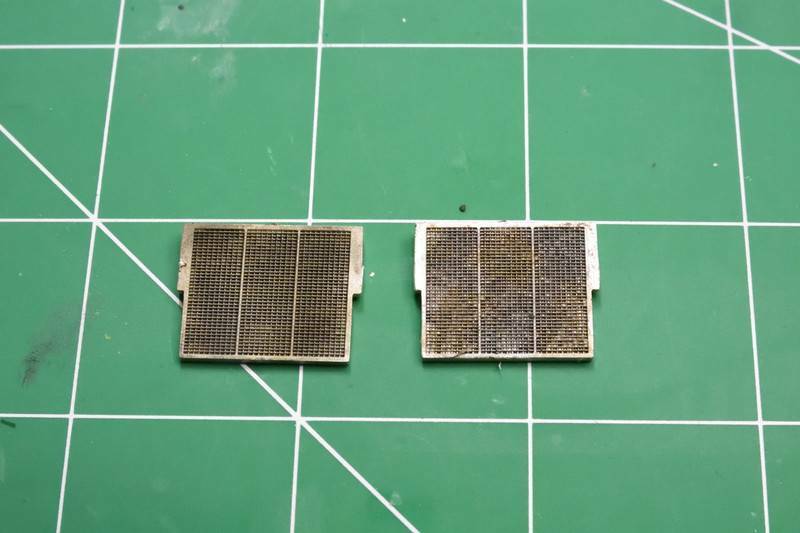 I've done some light panel line weathering already. 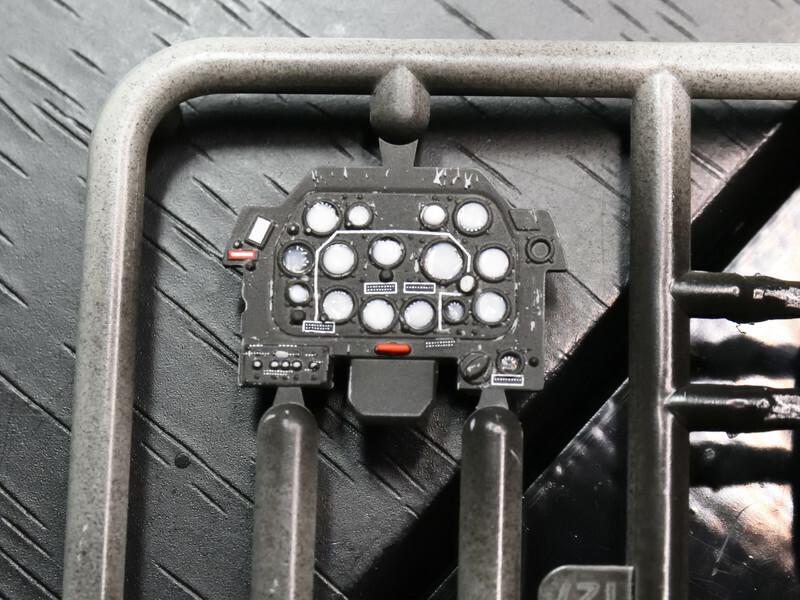 The fuel tank is a combination of Vallejo black and Model Master Aircraft Interior Black. 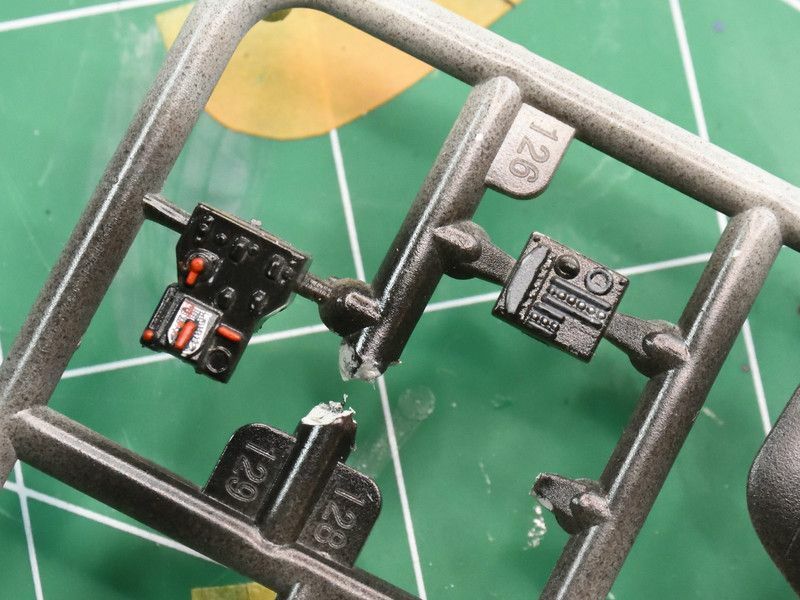 The equipment frame sprue attachments still have to be trimmed. 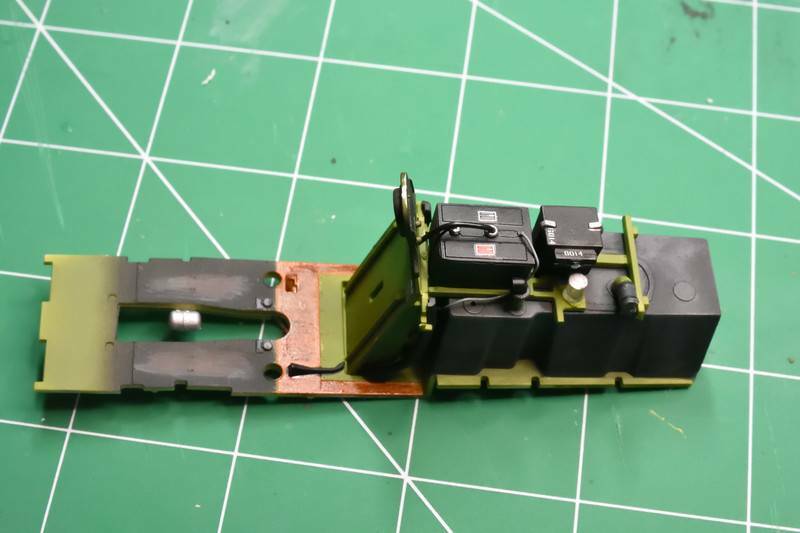 I'll probably do the HGW seatbelts as I'm pretty sure I have an extra set. So that's it for now. I'm still looking at what blue to use (and leaning towards the Dk Mediterranean Blue) and am securing some photos of the topside of the aircraft. Thanks John and Iain! 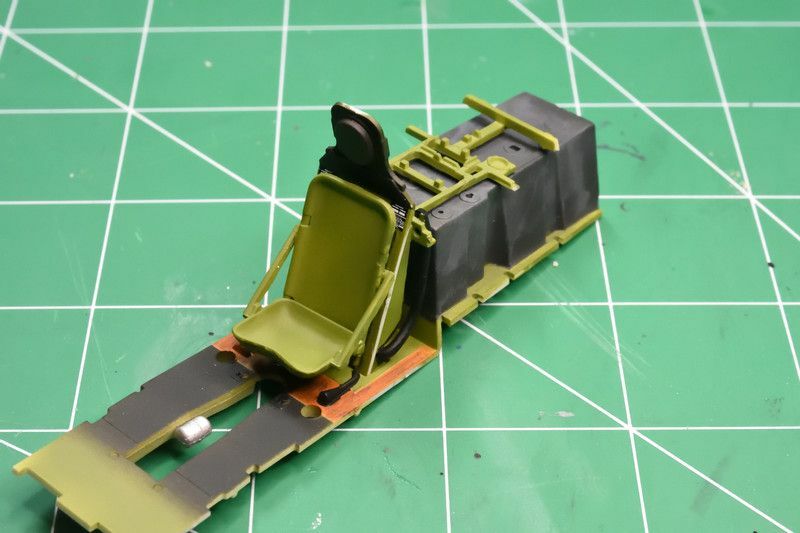 Made a bit more progress today on the cockpit and started on the radiators. 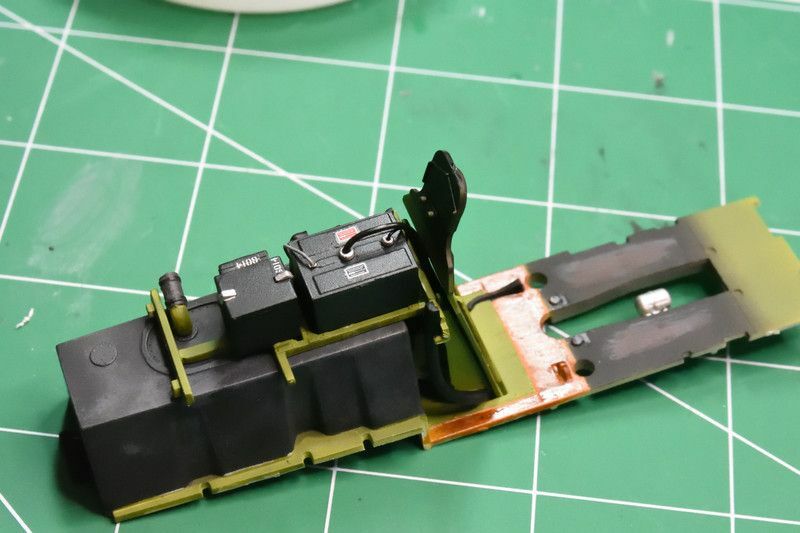 Found a picture from the war on the wiring including the line from the battery to the box behind the seat. Also worked on the weathering on the floor some too - not enough to wear it through the floor - although I did read Radu's post about the heels dragging on the floor as the pedals were pushed. 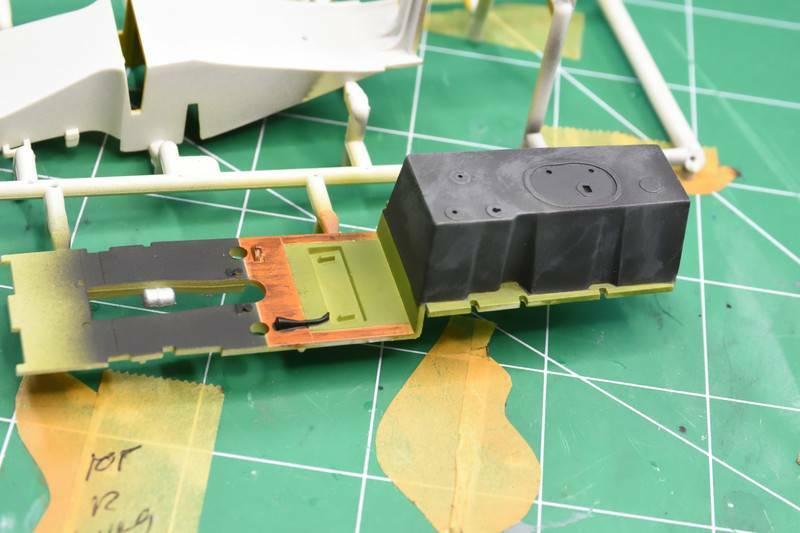 The wiring is two different sizes of automotive ignition wires, inserted into holes drilled into the battery and glued from the underside. The terminals were previously painted aluminium. The wood floor also got a coat of clear orange. Will hit that with flat here pretty soon. Dry fitted the cockpit together, sans the seat - which I'm still working on what seatbelts to use. I have PE and two different sets from HGW to try. The fit is better than what I thought it would be with all of the various pieces. I totally didn't realize there were two radiators that needed to be painted - so here are both of them. 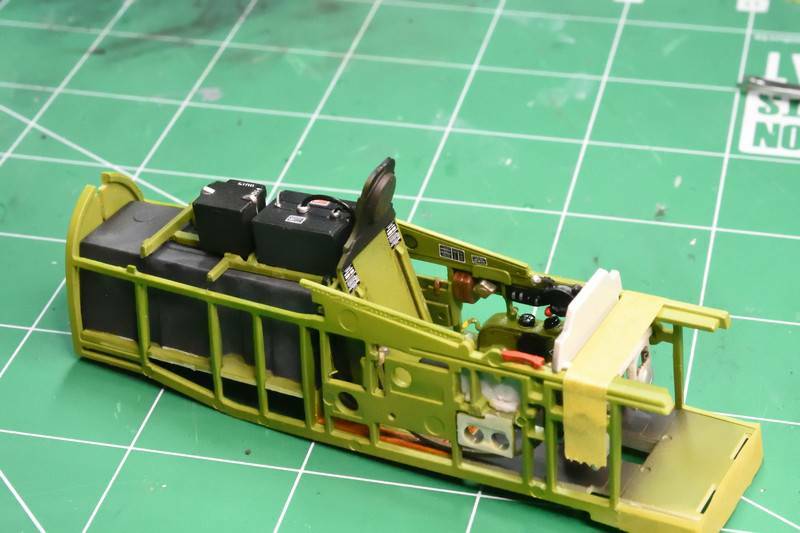 Once the rear gear doors are attached, it is very hard to look inside the compartment, just the external doors seem to be visible. Nice work Chris. Clean and precise. That's and awesome job on the office! Thanks! 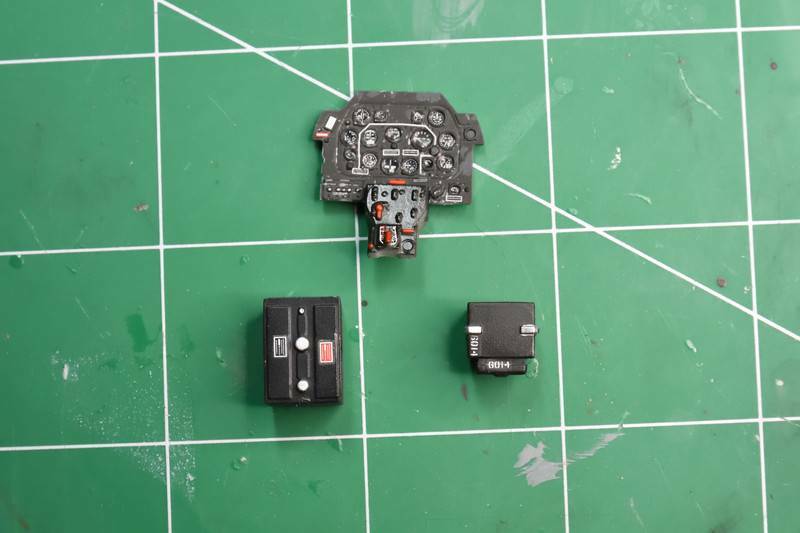 Learning a lot about the Revell kit - the fit is pretty good, there is some flash that needs to be addressed, for example - but enjoying the build and already bought a second kit. Not quite sure what I'm going to do with that one at the moment. Getting ready to get the filler out to work on that access door just ahead of the cockpit that needs to be filled, and then on to the infamous flaps. 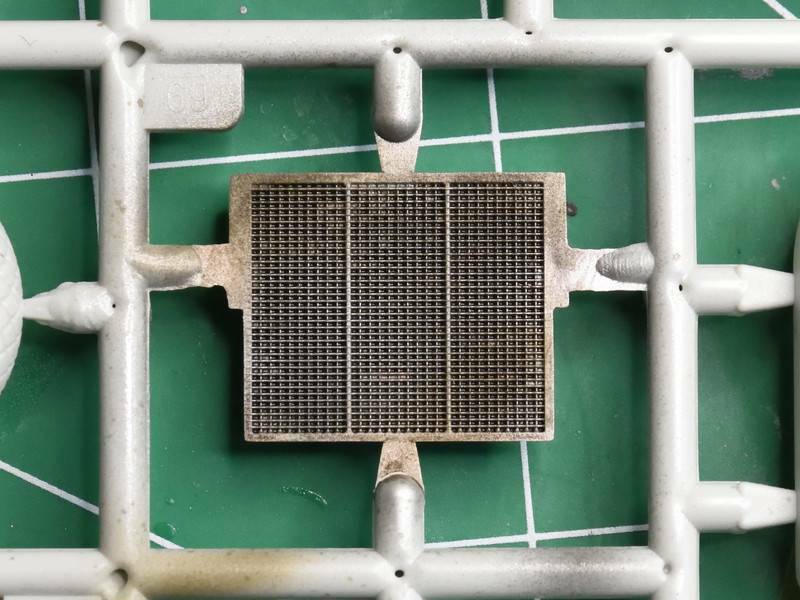 I am waiting on a set of 3D Printed exhausts from Model_Monkey/Shapeways that I'll be reviewing as well - they look amazing in the pictures but this will be my first foray into using 3D printed parts so stay tuned. Wonderful. So you are using both Yellow and Green Zinc Chromate? No, just going with the YZC for this build. 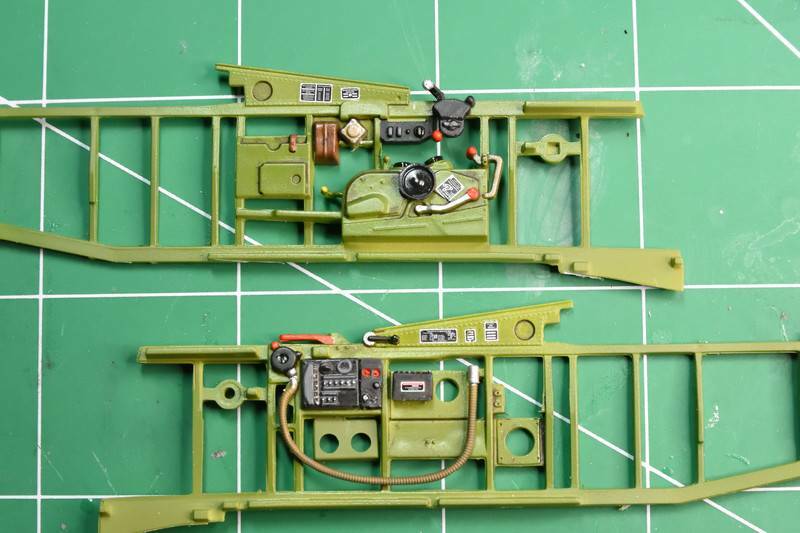 The cockpit color is Model Master Interior Green, with a bit of Dark Green misted on for some shading.